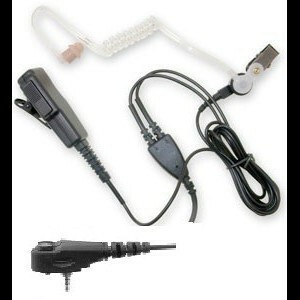 icomearpiece – Airwave Radio: what is it, what does it do and Who is it for? Editors Note – All of the emergency services, Police, Ambulance, Fire and Highway patrols are all now on the digital airwave network, supported by the motorola MTH and MTP radios and the sepura SRP and SRH radios. Airwave is a digital trunked radio service for police and other emergency services in England, Scotland and Wales provided by Airwave Solutions Limited under contract to the NPIA. It has replaced outdated individually run force analogue radio systems with a national digital radio service. It is now fully established and network performance is exceeding contractual levels. Police authorities and forces are now in the process of exploiting the benefits that Airwave can bring through different ways of working and as a channel for mobile data applications. All police forces in England, Scotland and Wales, the British Transport Police, the Serious and Organised Crime Agency and other police agencies. The fire and ambulance services will also be using Airwave nationally once roll out is complete by December 2009. The purpose of AirwaveSpeak is to provide better communications between police radio users. It is a national standard of radio communications which offers consistent and concise communications and ensures that there is no confusion during voice transmissions. It was developed following feedback from forces who were concerned over the standards in radio discipline for voice over-the-air police communications. A team of linguistic professionals working as Prolingua, were employed to develop the standard alongside a group of police officers and staff – including representatives from the Police Federation and Unison. It is based around the principles of Accuracy, Brevity, Clarity and Discipline. A number of police forces in England, Scotland and Wales, British Transport Police and other police agencies have commenced roll-out of AirwaveSpeak. The aim is to have all forces completed and using AirwaveSpeak by 2009. The contract was signed in February 2000 and the roll out of the infrastructure was completed in May 2005. All police forces have migrated from their old systems and user numbers are over 180,000. Why did the police need a new radio system? Police radio systems were obsolete and incompatible. New digital technology allows for more complete coverage of the country, clearer signals and extra features such as encryption and data as well as voice communication. Before Airwave was commissioned, independent experts reviewed all available technologies. Only TETRA was found to meet the requirements of the police service. What advantages does TETRA provide? Offers very good quality as it uses digital technology. Is secure thanks to its sophisticated encryption techniques. Is there a 100% guarantee that Airwave is safe? It is impossible to prove a negative, so experts can never give a categorical assurance that there is no risk. However, despite the extensive studies that have been commissioned into TETRA technology, there is no evidence that it is unsafe. How much will Airwave cost? We estimate that the Airwave service contract will cost £2.3 billion at 1999 prices over the 22 years of the project. Additionally, police forces had to buy radio terminals, and needed to modernise their control rooms. Funding was provided partly by the Home Office through central government grants, partly by local police authorities. When will all forces be using the new systems? The system was rolled out force by force. It is now available to all forces. Once a force reached its Ready For Service (RFS) date, and Airwave was available to it, the force typically needed a further six to twelve months to become fully operational. All forces in England and Wales are now fully operational. What is the risk from electromagnetic radiation? The international scientific community agrees that the only established risk from radio frequency radiation is related to heating of the body. Radio signals could cause risks to health if their intensity was significant enough to cause substantial heating. What organisations monitor the effects of radiation? There are organisations around the world that set limits of exposure across the entire electromagnetic spectrum, based on the way in which different forms of electromagnetic radiation interact with the body. These organisations include the National Radiological Protection Board (NRPB) in the UK and the International Committee on Non-Ionising Radiation Protection (ICNIRP) world-wide. How are safe levels of heating calculated? The SAR (Specific Absorption Rate) measures the absorption of radio frequencies in the body. The SAR is determined by the conductivity of the tissues of the body. It varies with the kind of tissue, but is generally greater for fluid and loose tissues than for bone. A generally agreed formula links the SAR to temperature rise in different kinds of body tissue. The medical evidence suggests that there is no risk to the health of a reasonably fit person until the temperature of the whole body is elevated by more than one degree centigrade. In fact, our bodies routinely vary in temperature by up to about a degree during the course of the day with no adverse consequences. A body temperature rise of over a degree may cause difficulty if it is sustained for some time. Heat reactions in affected persons may include sweating, tiredness and changes in sleep patterns. The SAR limits are set at one-tenth of the SAR value that would cause a one degree centigrade rise to the whole body. Because of the complicated relationship between SAR and temperature rise, this does not mean a threshold of 1 tenth of a degree. The SAR limit is set very conservatively in order to ensure the one degree threshold cannot be exceeded. Guidelines are set by ICNIRP and the NRPB, based on scientific evidence. Specific absorption rates cannot be measured directly in a living body, but there are two methods to estimate them. One method uses a physical model of the human body with the right kind of electrical properties. One can use this model to make SAR measurements with a suitable probe. The other method uses complex computer programmes based on knowledge on all of the individual components of the body and their electrical properties to calculate the SARs. Both methods agree very well. TETRA technology has been the subject of detailed investigation by independent experts. Their advice is that it is unlikely that TETRA technology poses a threat to health. TETRA uses a particular system of coding which records speech and then compresses it, decreasing the duration of the signal by a factor of four. Speech is recorded continuously, then broken up into chunks, each of which is then compressed down to one-fourth of the time scale, speeded up, and then transmitted as a pulse of information. This means that you can transmit four conversations simultaneously on the same wavelength and in the same area. Do TETRA base stations pulse? There have been claims that base station signals are pulsed, but the evidence does not support this. Independent checks confirm that the radiation from Airwave base stations is a continuous signal. The signals from TETRA radios (hand-held or mobile terminals) are pulsed. Need I worry about emissions from base stations? The evidence does not support public concerns about mobile phone and TETRA base station emissions. In fact, in areas accessible to the public, exposure levels from base stations are much lower than exposure levels from actually using a mobile phone. What checks have been done on existing masts? The Radio Communications Agency (now part of Ofcom) checked emission levels from Airwave base stations. The results confirmed that Airwave base stations comply with health and safety guidelines: the measured power levels were only a small fraction of the guidelines in areas accessible to the public. Independent checks also confirm that Airwave base stations transmit continuous waves. Why might some people report suffering ill-health? Mobile phones and TETRA terminals do get warm, not because of radio frequencies but because of the current flowing from the battery. Some of the energy of the current dissipates into warmth that is then radiated as infrared radiation or conducted directly by contact to the head. There is no more risk involved in that than in standing in the sun or washing one’s hands in hot water. Symptoms like nausea, tingling, headaches and sleep disturbances can sometimes appear as part of what is called a psychosomatic condition. These symptoms are very real to people who suffer them, but instead of being produced by the actual risk, they are internally generated by stress due to the perception of that risk by the sufferer. They can be reported for example by people who become concerned about something in their environment, about their food, or the possibility of exposure to chemicals. Studies on mobile phones have consistently found that a small proportion of users reports this type of symptoms. Why should a very few users feel hypersensitive to the perceived risk of radio frequency radiation? Further studies on this topic have been sponsored by the Mobile Telecommunications and Health Research programme. Is the mention of 16Hz modulation in the Stewart Report significant? Some experiments conducted in the 1970’s and 80’s suggested that modulated radiation could have an effect on calcium exchanges in tissues of the body, particularly for amplitude modulation around 16 Hz. Further research has found that TETRA has no effect on intercellular calcium exchange. Why are these topics being investigated and not others? The Home Office research programme follows the recommendation of the independent AGNIR experts. No other topics specifically related to TETRA were identified. There has been a lot of research carried out over the last fifty years into radio waves and health generally, covering a wide range of digital and analogue signals, frequencies and modulations – including those used by TETRA. This research has been reviewed by many independent scientific experts, standards-setting bodies like the NRPB and health authorities like the World Health Organisation (WHO). All of them have come to the conclusion that there is no established evidence of any adverse health effects from exposure to radio waves within the guidelines which apply to TETRA and other mobile communications systems. Why wasn’t Airwave tested before it was commissioned? The TETRA standard was established in the 1990’s. There were no concerns about its health and safety until the publication of the Stewart report in 2000; by which time some TETRA systems were already in operation and Airwave had been commissioned. A number of independent bodies have been contracted to carry out the research. Independent oversight is provided by academics distinguished in the field. Airwave is managed through a Programme Board that is made up of representatives from the Association of Chief Police Officers (ACPO), the Association of Chief Police Officers in Scotland (ACPOS), the Association of Police Authorities (APA) and NPIA. Posted by Icom earpiece | in Telecommunications | Comments Off on Airwave Radio: what is it, what does it do and Who is it for?